maseno math camp | Inventing Situations. Blue vervets are probably one of the most photogenic species of monkey. At the main maths camp this year, we had five different topic areas that we structured the camp around. All of them used computers in a big way, except one: Programming. The justification for this was that we had really nice, user-friendly programs for illustrating ideas in statistics, geometry, and so on, but actually throwing the students into a programming environment would almost certainly be too overwhelming. A significant number of the students had never touched a computer before, and really taking them into a code environment seemed a bit of a stretch for people still figuring out the idea of a right-click. That’s not to say that good computer tools don’t exist; just that we haven’t managed to review them yet. (MIT’s Scratch, for example, looks well worth checking out.) Furthermore, given the time-scale we were working on, I think there was a lot of value in separating the programming concepts from the physical object of the computer. This makes the concepts available in a larger context than the computer, which, as a maths camp, we were eager to do. The idea of setting some basic rules from which we can extrapolate is a basic idea of mathematics. Getting across the idea of the need for precision was also of key importance. This is an update post on a bunch of different projects, along with information on things coming up, and ways for people to get involved. Moding High Motto: To Arm the Brain to Conquer. This weekend we ran four mini-maths camps! 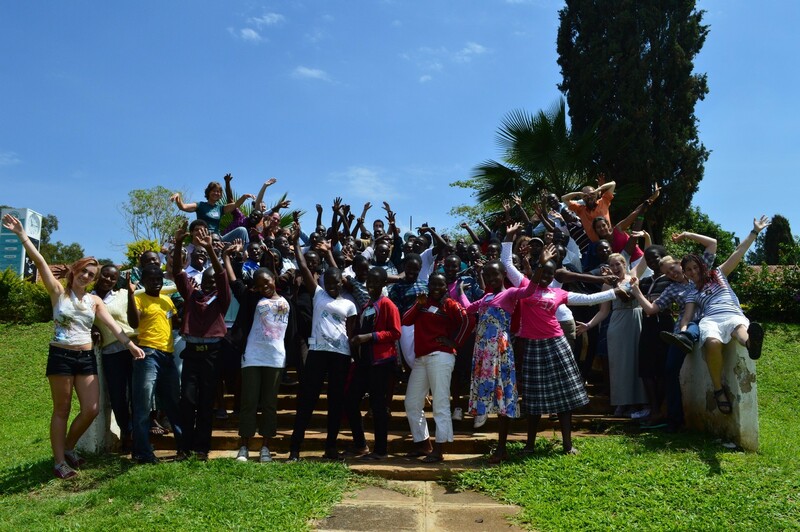 These are half-day events held at high schools, which give a sort of introduction to the kinds of things that we do at the main maths camp in August at Maseno. On this particular trip, we were partnered with the Elewana Project, which works directly with a number of schools in the area; they mainly bring in students from the US during the summer to work with students, though they are beginning to do some two-week camps aimed at improving educational outcomes for secondary students. Getting a little bit of familiarity with the software, so that the students can explore and learn more after we’ve left. The Sizzling Brownie from Laughing Buddha, in Kisumu. It’s a brownie served on a hot plate with a big scoop of ice-cream on top, then drizzled with liquid chocolate which boils when it come into contact with the plate. Mind-bogglingly delicious. There’s still no foreseeable end to the teacher and lecturer’s strike (in fact, the doctors are joining in, too, now), though I’m assured that there is to be a meeting on Monday to try to negotiate an end. As such, we’ve been running lots of errands in the downtime… And in-between work, we’ve been eating healthy amounts of ice-cream and playing a lot of Dominion!